Want to teach your first grader about the Bible and God, but not sure how to explain it? Don't worry. Alpha Omega Publications has what you need—the LIFEPAC 1st Grade Bible Teacher's Guide Part 1! 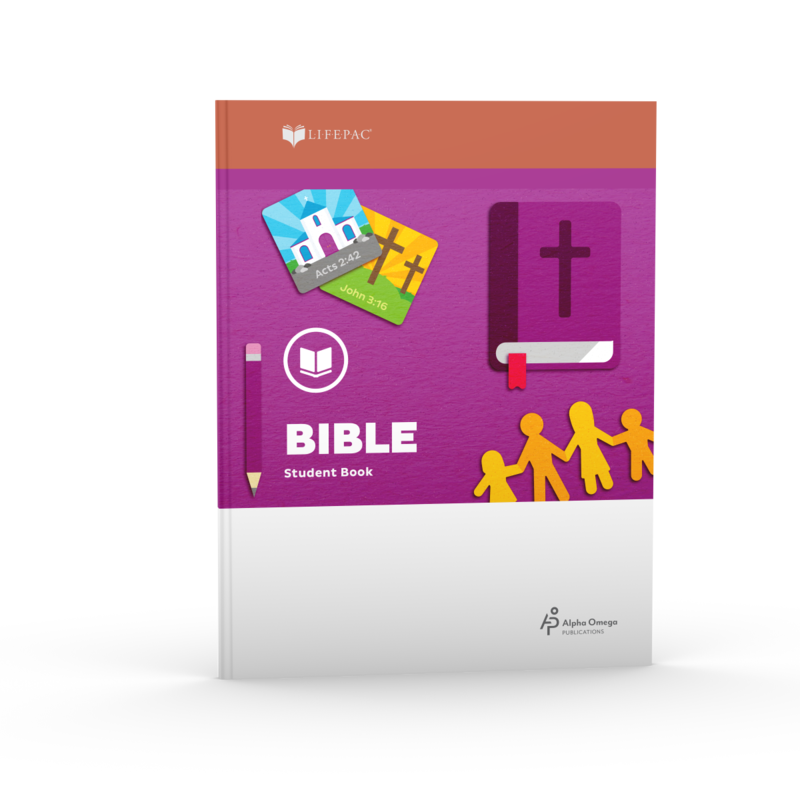 This comprehensive, step-by-step teacher's guide has everything you need to successfully teach your child Bible lessons in Units 1-5 of the LIFEPAC 1st Grade Bible program. This helpful resource is filled with clear explanations and easy-to-follow material like a LIFEPAC curriculum overview, a weekly lesson planner, a curriculum management section, alternate tests and worksheets, and teacher notes with tips on how to teach first graders. What could be better? And this soft-cover Alpha Omega curriculum guide has all the answers for lessons and tests in LIFEPAC 1st Grade Bible Student Units 1-5. But wait, there's more. The LIFEPAC 1st Grade Bible Teacher's Guide Part 1 has each lesson's objectives, needed materials, study pages, and additional activities clearly outlined! Plus, suggested readings are conveniently included so you can easily enhance your child's learning with fun, supplemental material. Sound like a lifesaver? It really is! Teaching your first grader about the Bible and God has never been so fun and simple! So, don't wait. Order the LIFEPAC 1st Grade Bible Teacher's Guide Part 1 to try it for yourself today!